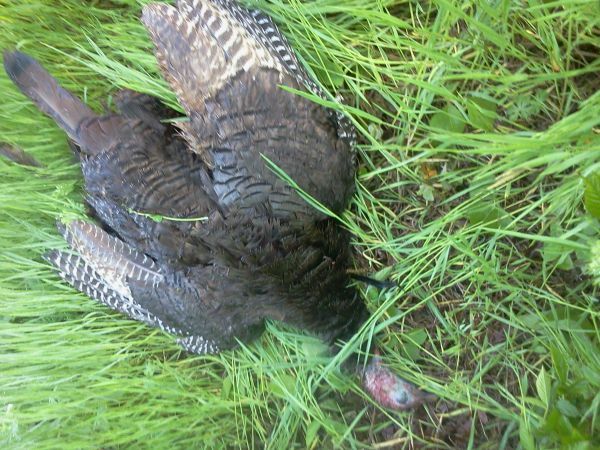 on openin day i was set up on a bird that was hung up and was gobblin his head off but wouldnt come in. so around 8:00 i got up and was gona see if i could strike up a gobbler n the swamp. as i got 10 yds in the swamp 2 turkeys started gobblin. so i sat rite down on the 4wheeler trail and let off a few soft yelps and they answered. not a min later i seen 2 white heads easin thru the swamp. 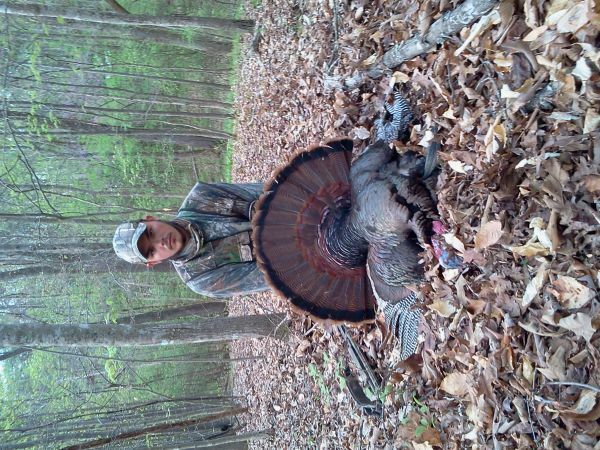 they got within 20 yrds and the strutter gobbled for his last time. 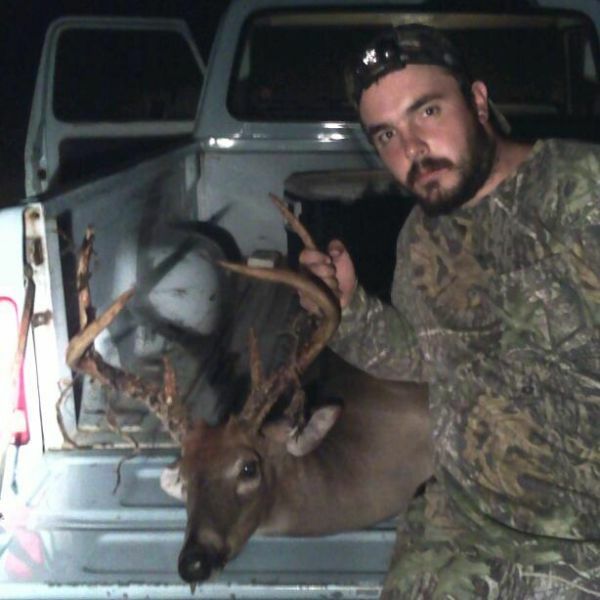 he had a 9 3/4 inch beard and 1 1/2 spurs. well i had 2 work yesterday but ended up getn off at 3 so i went home n showered up n hit the woods. at 530 3 does and a button head came in the powerline. then. 3 more does came out n they ate at the corn pile till 645 n they moseyed on off. at 735 i herd a twig snap in the edge of the woods. when i turned around all i saw was horns. 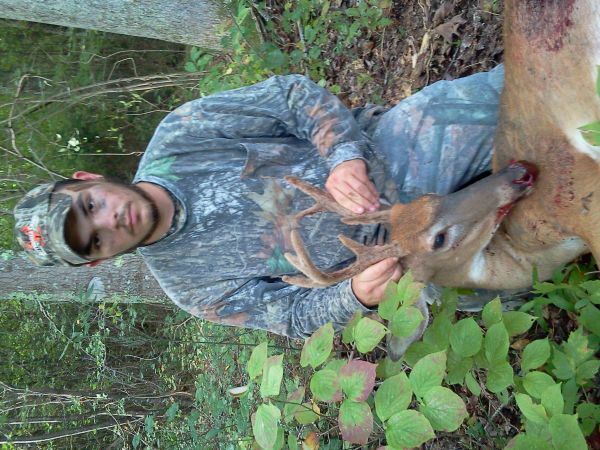 he was walkin rite down the edge of the woods n came 2 15yds. idfrew bak n let it fly i hit him in the spine n he droped kicked a few times and he was dun. 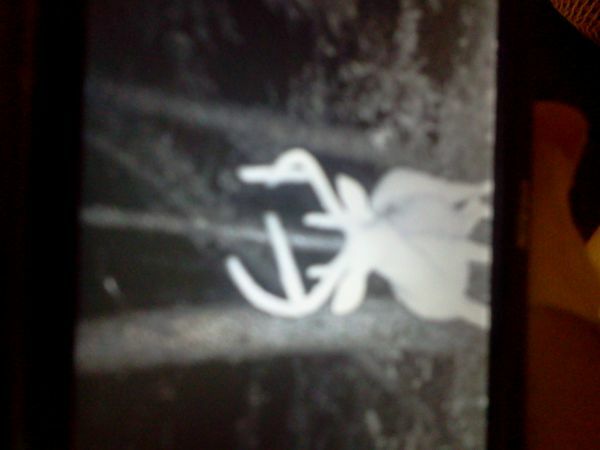 my best buck with the bow n it was the 1 i was after. he still had quite a bit of velvet. sure would have been nice 2 kill him n full belvet. 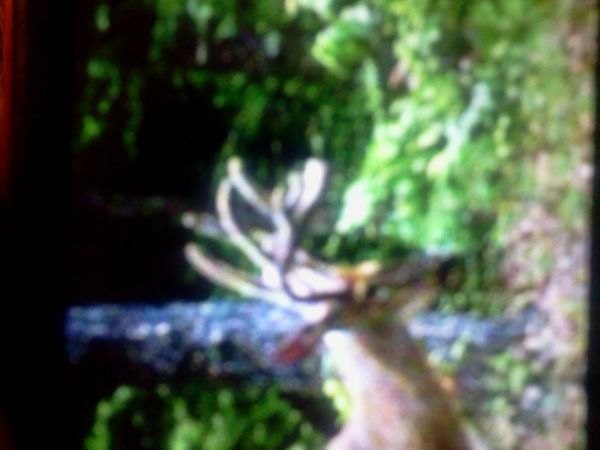 he was 16 inches wide with tines at 11 n 10 1/2 inches bases rite off his head was 6inches..
openin day 7ptr. 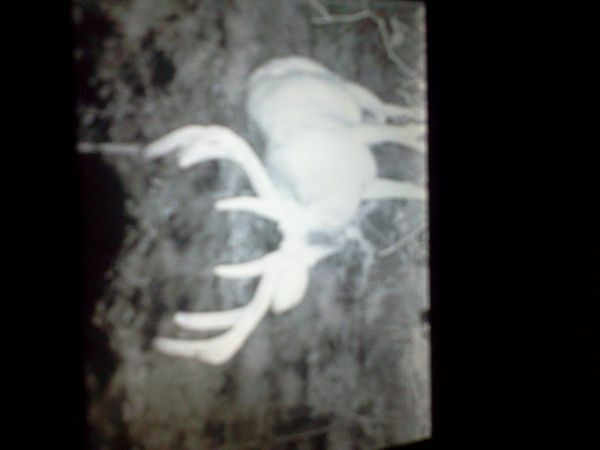 my brother seen 2 bucks and 2 does this am.biggest buck hes shot and in full velvet. i didnt even see a deer 2day. gona tryem again 2maro evenin. i did manage to talk him out of a backstrap n had it for supper lol it was good. it was a great day n proud of my little bro. have any of yaw seen ne scrapes?? i went oit yesterfay n put out 100 lbs of corn. n as soon as i got n the powerline it smelt like sumthn was dead. 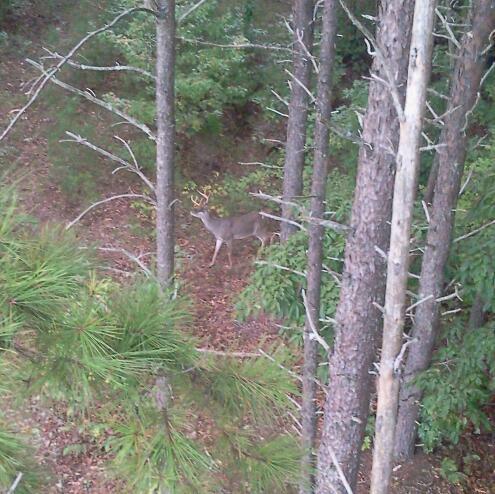 i didnt walk around ne cause didnt want 2 jump ne deer. but on the way out i seen a scrape bout the size of a backboard on a basketball goal. dk if tht was the smell or not???? dont o if people spotlight around the area cause it was the same block of woods tht i found a 20inch wide 8ptr last bow season??? sory do long winded but wonderin have ne of yaw seen ne scrapes yet?? earliest ive found. 5 MORE DAYS!! 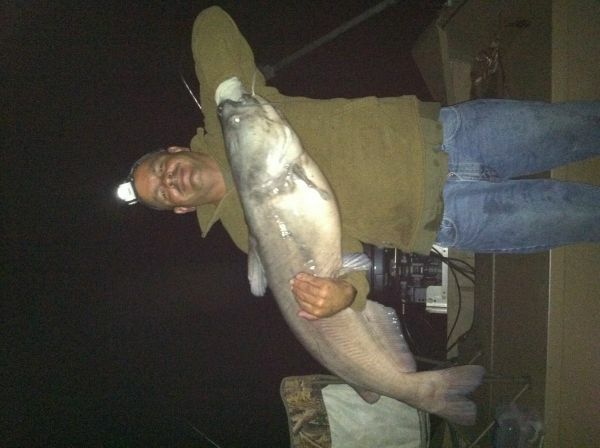 me and my dad went catfishin on the dan river n had the best nite weve ever had. we caught 130 pounds of blues withe bigest bein 47 lbs...... 39 lbs..... and a 18 pounder. WE HADA BLAST!!!!!! well i finally tagged out... not exactly wht i was hopein for but oh well... i talked my boss in to lettin me have the day off since i gota work all weekend and it payed off. i got to my normal listening spot in the cutzoo field and heard 2 groups of turkeys gobblin their heads off on some land i cant hunt. so i went and set up as close as i could on a creek bottom. and started callin every 15 mins or so. 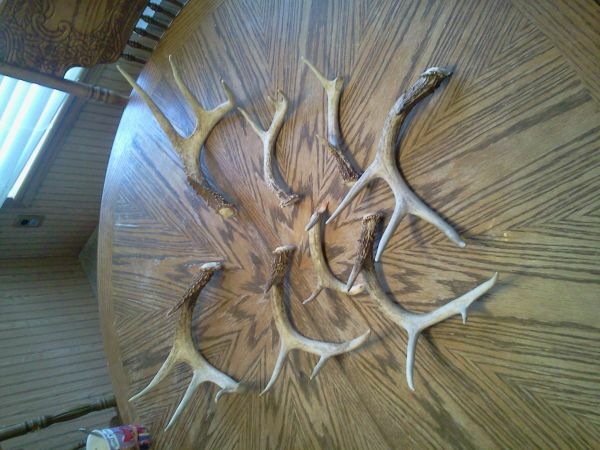 they were gobblin like crazy but wouldnt budge. i herd someone shoot at 715. i sat there till around 8 and they still aint moved so i was gona go to the other side of the property where i thought i heard a faint gobble earlier.. i was walkin through the cutzoo field and a turkey took off 25 yds in front of me and i seen a beard hangin so i shot and the bird falls in some thick stuff. 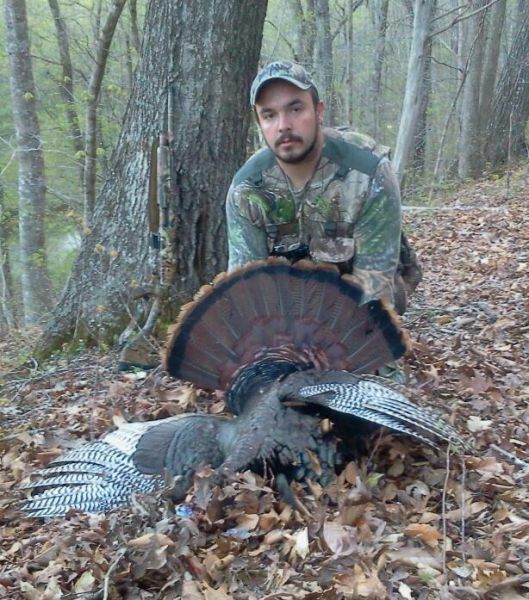 i just knew it was a gobbler that came in silent but when i get to it i realize its a bearded hen. i felt so bad walkin up 2 that hen so late in the season. i just know shes got a nest sumwhere. 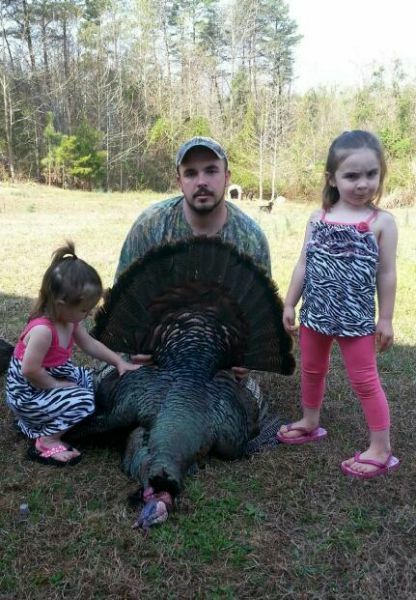 but nothin i can do now.... first time taggin out and 1st bearded hen.. her beard was 7 1/2 in. A comment titled: buck in response to a report titled: Buck's Are Chasing! A comment titled: big 6's in response to a report titled: THE BIG DROP-TINE 6 IS DOWN!!! 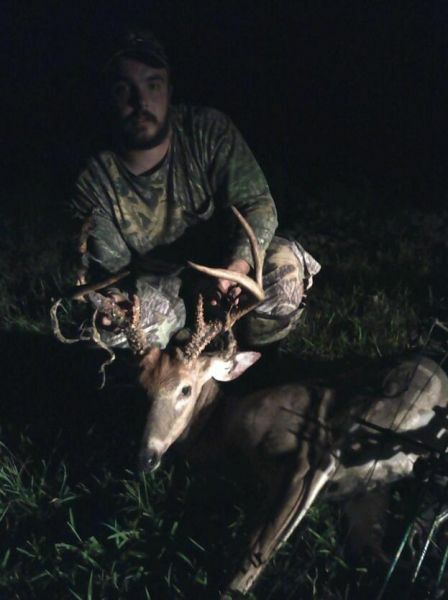 Congrats man that's a big ole 6 I love the drop tine. I killed a big 6 on September 14. Check him out. CONGRATS!!!! 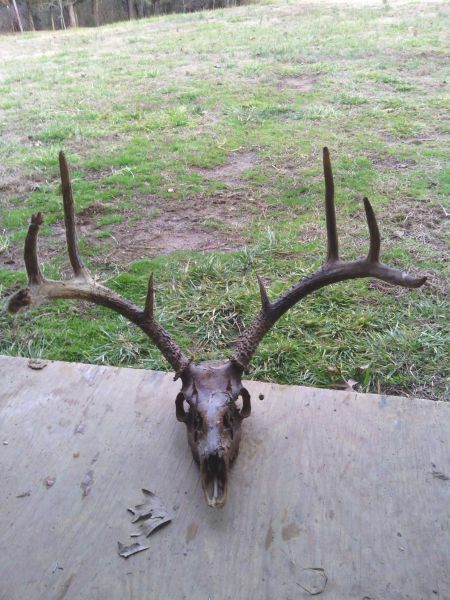 thts a great buck. gongrats!! 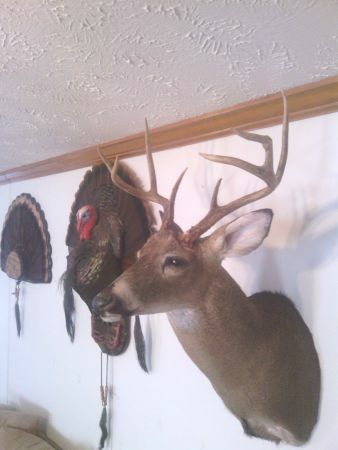 thanks dcb.. ive allways wanted a big 6 n i gotem.. hes at the taxidermist now.. good luck this season!! man thats a big ole snake. congrats on ur baby girl. what county u kill it in?